ShortScale :: View topic - The last 'Nice' bit of kit you bought. The last 'Nice' bit of kit you bought. Posted: Wed Jan 24, 2018 7:53 pm Post subject: The last 'Nice' bit of kit you bought. Pretty sure I�ve said it before but I love that SG Dez. So I guess the answer was my vintage Gibson collection, a �50s Champion lapsteel, �67 Melody Maker SG and �72 SG-II. At $800 the MM was the priciest, the other 2 were each under 500. Also bought my �76 Bassman Ten around that time. I thought about this. Most of the things I buy are cheap and opportunistic, because I'm usually skint. So, a Squier fretless bass, a CV strat, a Novation Impulse (second hand) and the parts for a strat kit (good Wilkinson bridge, Lace Sensors etc.). Although I did get a Matamp 412 this year that I am chuffed to bits with. I've had a few cheap opportunistic buys since the SG (mainly quirky 80s synths) but that was the last bit of kit I'd been scouring t'internet for. 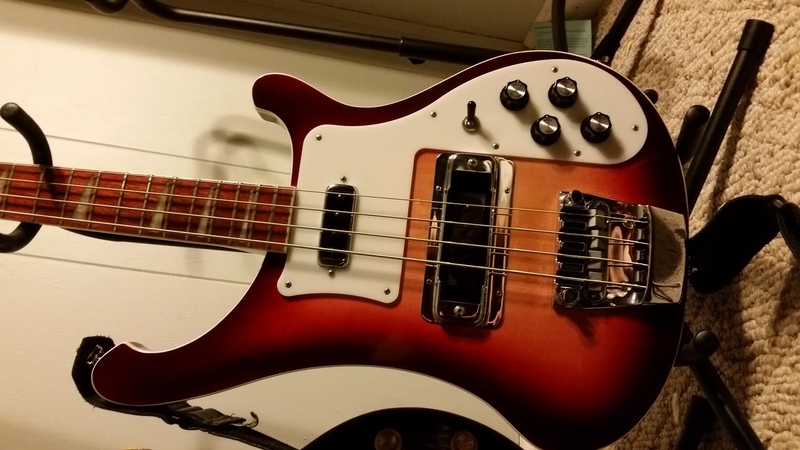 Last really nice thing was probably the Rickenbacker 4003 bass, a little over 2 years ago. Been a long long time for me. I know it was my comment but I see it as I can build something just as good or modify a Squier or something. It's great to see eye candy though. I'd love to go out and buy something new with a fitted case and everything. No pics atm but probably that 1449 I got off of cooterfinger. Love that thing. 10 months ago I wash feeling flush and put a down payment on a millimetric build. Now I'm not feeling flush and the balance will be due in about 2 weeks. Still excited though. Prior to that, my main considered purchace would have been my EGC, which was probably about 2 years ago now. Got an old Ibanez Sabre in the between. Been buying some synths as well, but nothing particularly pricey. 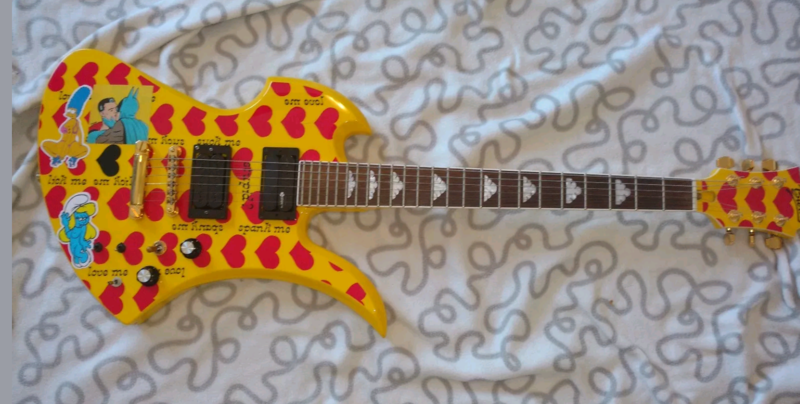 Post pics of the EGC t'is a cool guitar and the point of this thread was pics of cool stuff... didn't you get a flowery 80s ibanez too? Get pics, this is a frivolous oh thats nice thread to cheer up a dull January. Missed the point this is a look what I got thread... not a I want another bloody Squier thread. 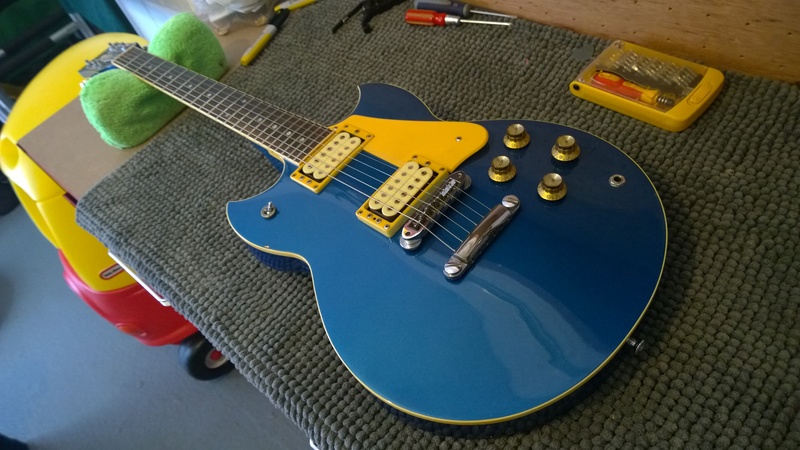 I'm not nocking this stuff I love a bit of modding... just thought we could all post our fancy stuff. so confused. it says "considered purchase"
as in a purchase im considering ? Your last considered purchase... the last thing you bought that you put a bit of thought into ie not just an impulsive bargain buy. The last "nice" thing I bought was probably my Johnny Marr Jaguar. I thought a lot about buying my Squier VI (it wasn't an impluse purchase - I spent several years pondering it) but that's probably not the sort of thing you had in mind. Last "considered" purchase of mine was the Orange CR120 and WEM 2x12 cab I bought a few months ago. Never posted about it here because I wasn't really posting at all around then. 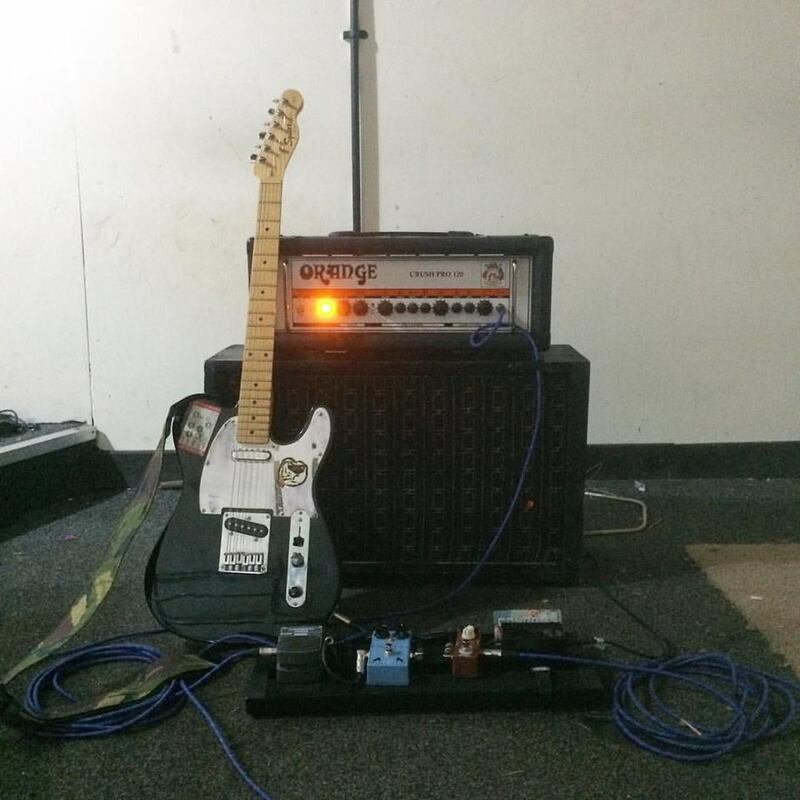 About �600 all in, not expensive gear in the grand scheme of things but probably the nicest amp setup I've had, and the most I've ever spent on gear in one fell swoop. I reckon I'd been weighing up the head for about a year beforehand, the cab just came up on Ebay at the right time but I'd always been planning to buy a head and cab at the same time.